Then get a real trading computer. If your current trading computer not keeping up in these fast markets…we can fix that. QuadStation Trading computers are designed for traders in any trading environment. Regardless of what you trade or how your trade, these systems are built for the task. If you appreciate quality, a QuadStation is for you. Choose from 2 up to 12 display systems. If you are not sure start with what you need now and expand to more screens later, our systems will allow for that. ​Experience. Quality. Performance. Our company adheres to the absolute highest quality standards without compromise in addition to personal customer service. When you purchase a system from NTI you know you are getting the best. We take no shortcuts at NTI, “the Best or Nothing” we say in our lab. 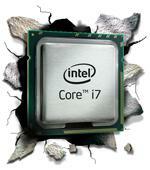 All QuadStation systems feature the fastest Intel i7 processors as recommended by all trading platforms. This means that your applications and charts will run faster because your computer will run faster. Intel’s new SIX, EIGHT and TEN Core i7 processor family has shattered all performance projections compared to all other processors. We only use only the top Intel processors at any given point in time in our systems, so speed is never a problem. Check with your trading software company to see which operating system they recommend. Windows 7 is going away very fast so hurry if you need Win 7. Most of these trading platforms have released a 64 bit version of their application. If you are using a 64 bit operating system like Windows 7 or 10, you should use a 64 bit version of your trading platform for maximum performance. Below are links to the major trading platforms system requirements pages for you convenience. As shown on their websites MAR 2018: Note that although these companies are slow to update their system requirements on their websites, most all of them work now in Windows 10 according to our trading customers. Contact your software vendor for details. Contact your trading software company to verify. All QuadStation-i7 Systems come standard with at least 16G of the newest QUAD channel DDR4 memory. This is the fastest memory to date. You have the option of upgrading up to 64G during checkout. If you are looking for a complete, turnkey solution we have that too. Talk to a representative about your environment and your objectives. We offer turnkey packages shipped right to your door ready for work out of the box complete with monitors and mounts. Our monitor stands support all standard size monitors and you have an unlimited choice of layout options. Add monitors and mounts to your QuadStation order during checkout. See all mounts now. We have that too. See our new QuadStation Traveler system. A completely portable 3 monitor laptop system which fits in a rugged carry-on sized case. Includes our powerful QuadStation Intel i7 laptop, 2 x USB powered LED monitors, weatherproof case and all accessories. The entire system fits in the rugged case and small enough to be stored in the overhead compartment of most commercial airlines. We know that you are doing your research and looking to get the most for your money. We understand that and respect that. NTI was founded on integrity and provides only the highest quality products and value to our customers. When doing your research keep this in mind. Our company has been in this business for a long time. We bring more than 23 years of solid experience building and designing multi display trading computers. We set the standard for our smaller rivals to follow, so trust in the company with the most ‘experience’ to build your custom trading computer. Concerned about support after the sale, don’t be. Our US based support team will be right here when you need us. All of our systems come with FREE remote technical support for the LIFE of your QuadStation. Click here to order your QuadStation today. Questions? Call us now, we will put your mind at ease by answering all of your questions without pressure. New ! If you are just looking for a basic computer but still want the NTI quality, look no further. 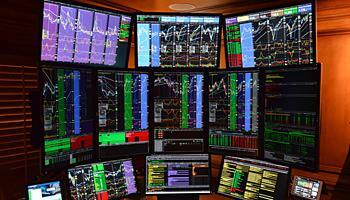 For traders who use only 1 or 2 screens of ANY size, the CUBE is a perfect fit. 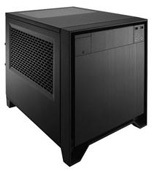 Introducing the Cube ITX2. Support for dual displays, small stylish cube case, i5 or i7 processor, affordable. Only 13.8 x 10.9 x 11.4 inches.